Celebrate. Celebration is an expression of Gratitude. Gratitude is like the prayer, while Celebration is the hymn and sacred dance. Celebration is a road to happiness. 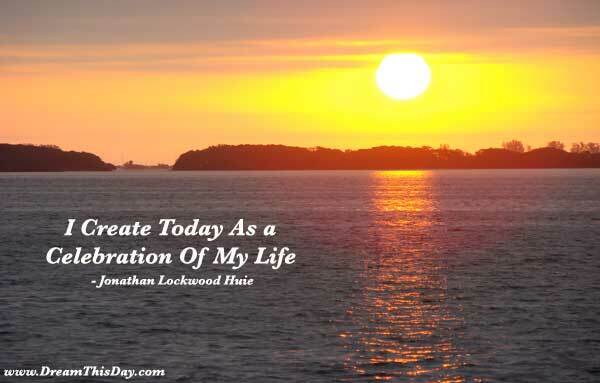 Today's Affirmation: I create Today as a celebration of my life. I Dance with a Light Heart. I play with life, laugh with life, dance lightly with life, and smile at the riddles of life, knowing that life's only true lessons are writ small in the margin. Oprah Winfrey: The more you praise and celebrate your life, the more there is in life to celebrate.